Attack 1 : Pokeball, Go! Attack 2 : Pokemon, I choose you! 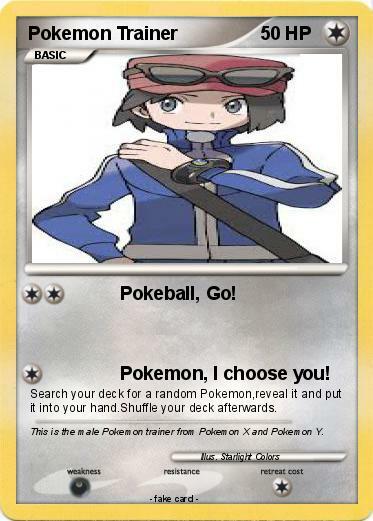 Search your deck for a random Pokemon,reveal it and put it into your hand.Shuffle your deck afterwards. Comments : This is the male Pokemon trainer from Pokemon X and Pokemon Y.